Data-mining giant Palantir Technologies Inc., one of Silicon Valley’s most secretive companies, is weighing an initial public offering likely to be among the largest in recent years, people familiar with the matter said. Palantir is discussing with investment banks Credit Suisse CS -3.72% and Morgan StanleyMS -5.04% plans to go public as soon as the second half of 2019, the people said. Some bankers have told the firm it could go public with a valuation of as much as $41 billion—depending in part on the timing—or twice what it was most recently valued by private investors, the people said. People familiar with the plans said they remain in flux, and that Palantir could ultimately decide to stay private or offer shares at a lower price to what is being discussed. The discussions come amid a gusher of technology giants charging toward newly volatile public markets. The Wall Street Journal reported earlier this week that ride hailing firms Uber Technologies Inc. and Lyft Inc. are eyeing public debuts. Uber received proposals to go public at a staggering $120 billion valuation, nearly double its value in a private fundraising round just two months ago. Other well-known startups considering IPOs in the months to come include workplace instant-messaging app Slack Technologies Inc. and delivery service Postmates Inc., the Journal has reported. Anything close to $41 billion would be a lofty valuation for a company of Palantir’s current size. The company has told investors it expects around $750 million in revenue this year, up from roughly $600 million a year earlier. That would equate to an IPO value of 55 times 2018 revenue. Uber’s proposed valuation, by comparison, would be no more than 12 times the $10 billion to $11 billion it expects to generate in revenue this year. Co-founded by famed investor Peter Thiel, Palantir made its name analyzing large volumes of data for intelligence agencies and governments around the world. Its analytics have been credited by investors and its staff with helping the U.S. government hunt down and kill Osama bin Laden, as well as disrupt broader terrorist networks. Some of its government work has attracted scrutiny. Privacy advocates have assailed Palantir for its role in helping law-enforcement agencies identify suspects in crimes. Protesters this year gathered outside its Palo Alto, Calif., headquarters and tracked down some of the firm’s early executives to picket. Started in 2004, Palantir counts as an old hand in Silicon Valley. It has roughly 2,000 employees with an average age of 30 years old. Staffers embed on military bases for its defense work, and in factories and corporate offices world-wide for its commercial arm. 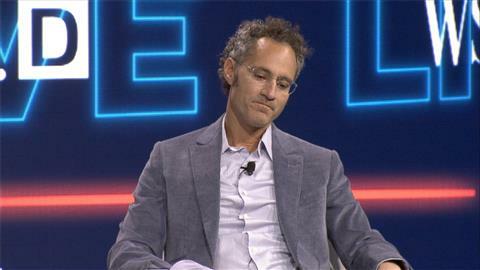 Will Palantir Launch an IPO? Some employees and investors complain that the company has remained private for so long. That has made it hard for them to cash out their private stakes and contributed to some employees’ decisions to leave, people familiar with the matter said. Palantir last raised money—several hundred million dollars—at a $20 billion valuation in a private fundraising round in 2015. At roughly double that, Palantir would be seeking a valuation far above its peers. Competitor Tableau Software Inc., which went public in 2013, has a market value of around $9 billion. Analysts expect it to post revenue of about $980 million this year. Investment bankers often provide a rosy outlook for a company’s future finances, as well as their projected value in an IPO, to earn their business in going public. With Palantir, the potentially higher valuation in an IPO reflects in part the firm’s improving business prospects, people familiar with the matter said. After Palantir shared some of its internal metrics with Morgan Stanley bankers, the bank returned with a range of $36 billion to $41 billion for a 2020 public offering, the people said. That range would be lower in the event of an earlier IPO, they said. Such growth would put Palantir in a rare echelon of public companies, bankers at Credit Suisse separately told the company, according to documents reviewed by the Journal. The Credit Suisse materials advised that there are only two comparable public companies with growth in Palantir’s range. This entry was posted in Company News, News and tagged ipo, palantir. Bookmark the permalink. ← What is a Unicorn?